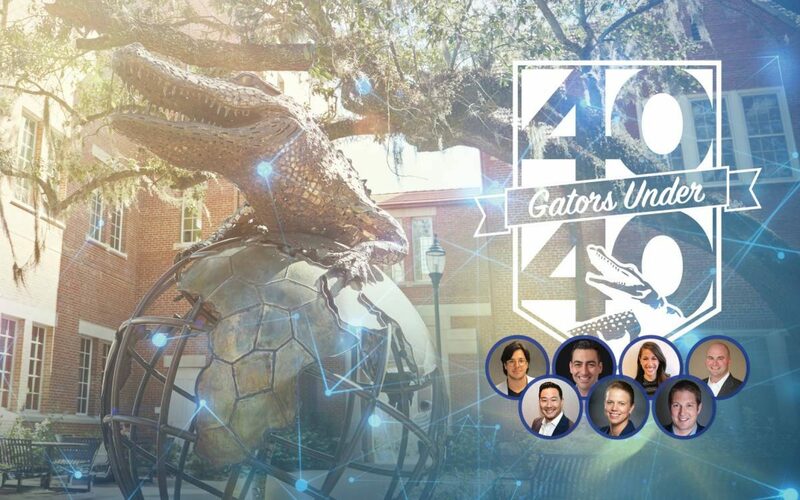 GAINESVILLE, Fla. – Alumni from across the Warrington College of Business were named to the first 40 Under 40, presented on the University of Florida campus during the Orange & Blue weekend festivities. Presented by the University of Florida Alumni Association, the 40 Under 40 honors Gators who are going greater in their communities and professions, continuing the tradition of the Outstanding Young Alumni event, which honored alumni achievements that positively impacted The Gator Nation from 2006-2018. Of the Warrington alumni named to the list, three are graduates of the UF MBA program, three completed their undergraduate degrees in the Heavener School of Business and one is a graduate of the Fisher School of Accounting’s undergraduate and master’s programs. Read more below about the outstanding alumni representing the Warrington College of Business on the 2019 40 Under 40 list. Somerstein is an attorney and member of Greenspoon Marder’s Real Estate, Finance and Transactions Groups, representing clients in a wide range of transactions, including counseling developers and lenders on the acquisition, sale, financing and leasing of commercial and residential properties throughout the U.S. She has experience closing transactions throughout the U.S. involving retail, mixed-use, multi-family, hotel, office, warehouse, condominium, automobile dealership and self-storage. Somerstein is a Broward County native and takes an active role in shaping her community. Somerstein serves on the Six Pillars Emerging Leaders Council with the Greater Fort Lauderdale Alliance, she mentors at-risk high schoolers at Fort Lauderdale High School through Women of Tomorrow and recently completed Leadership Broward. In 2018, Somerstein was appointed to the 2-1-1 Broward Board of Directors. 2-1-1 Broward is a comprehensive hotline, providing crisis, health and human services support. Somerstein is a proud Gator and enjoys serving as Vice President of her sorority’s Housing Board, Board Member of the Alumni Advisory Board for Florida Blue Key and member of the Gala Committee for the Broward County Gator Club. 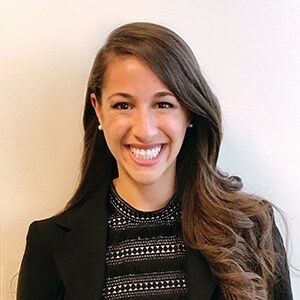 Somerstein was named a “Super Lawyers” rising star in 2019, she was given the “30-in-30” recognition from Volunteer Florida in 2018; named a finalist as an “Up & Comer” in 2017 by South Florida Business & Wealth magazine; and was an Honoree at the 211 Broward “Making Real Connections Breakfast” in 2016. Before graduating from UF Levin College of Law in 2013, Somerstein was inducted into the University of Florida Hall of Fame. 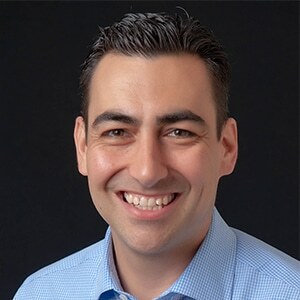 Brent Jacobs serves as Assistant Vice President of Acquisitions and Development at Surgery Partners, previously Symbion Healthcare before its acquisition in November 2014. Prior to joining Symbion in 2012, Jacobs worked as a Senior Associate in the Assurance practice at PricewaterhouseCoopers, LLP. He has over ten years’ experience in accounting and finance, while currently focusing on merger and acquisitions, including transactional due diligence and financial analysis. 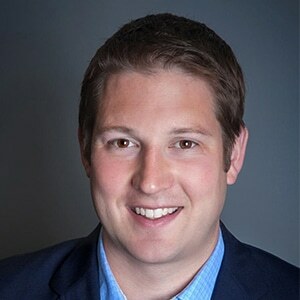 Jacobs is a graduate of Samford University, where he received a BA degree in Business Administration and earned a MAcc from the Brock School of Business. He also holds an MBA from the University of Florida’s Hough Graduate School of Business. Jacobs is married to his wife of 7 years, Katie. They have two daughters, Emmaline and Joey Kate. Jacobs enjoys spending time with his family and friends, supporting the Nashville Predators, playing amateur hockey at Ford Ice Center and racing at the local Fairgrounds Speedway Nashville. Jacobs is an active church and community member, participating in numerous community service projects through the years – United Way, Habitat for Humanity, Second Harvest Foodbank and Bike MS (National MS Society). Johnny Tung is the co-founder and owner of Bento Asian Kitchen & Sushi, along with his older brother, Jimmy. Tung was born in New York, but grew up in Gainesville where his parents owned and operated their own restaurants. Both Johnny and Jimmy grew up in their family’s restaurants working in the kitchen, as servers and cashiers, tending buffets and delivering food. Tung attended the University of Florida where he majored in finance and had plans to leave the restaurant industry. In the midst of his college years, the tragedy of September 11thhappened, and Tung grew concerned that jobs in finance would now be harder to find. In 2002, Johnny and Jimmy launched the first Bento location. It was 2,000 square feet and had only 40 seats. Their goal was to serve fresh, authentic and modern food in a cool, comfortable environment. Their concept took off and became hugely popular within the University community. After Tung graduated in 2003, the brothers would launch several additional restaurants before moving their headquarters to Orlando in 2008. Currently, they operate twelve restaurants with more than 500 employees across the state of Florida with plans to open six more within the next year. In addition to all the Bento locations, Tung also owns and operates several other popular restaurant brands in Central Florida, including Chela, Sticky Rice and Avenue, and he is a partner in Domu. 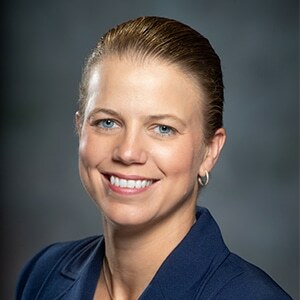 Kathleen Plinske serves as Executive Vice President and Provost and Campus President of the Osceola, Lake Nona, and Poinciana Campuses at Valencia College in Orlando, Florida. Prior to joining Valencia in 2010, Plinske began her career at McHenry County College in Illinois. Plinske attended Indiana University-Bloomington as a Herman B. Wells Scholar, earning a Bachelor of Arts in Spanish and Physics with highest distinction and honors. A member of Phi Beta Kappa, she completed a Master of Arts in Spanish from Roosevelt University, a Doctorate in Educational Technology from Pepperdine University and a Master of Business Administration from the University of Florida. Actively involved in her community, Plinske has served as Board Chair of the Education Foundation of Osceola County and as President of the Rotary Club of Lake Nona. She has also served on the Board of CareerSource Central Florida, the Osceola Center for the Arts, Junior Achievement of Osceola County and the Lake Nona Education Council. Plinske was named Woman of the Year by the Orlando Business Journal in its 40 Under 40 competition, as a Hispanic Community Champion by the Hispanic Chamber of Commerce of Metro Orlando, was recognized as a distinguished alumna by Indiana University and Pepperdine University, and was selected as an Aspen Presidential Fellow for Community College Excellence. Nicholas “Nick” Schumann has served his nation and community for more than 15 years as a U.S. Army soldier, a federal government civilian and anti-money laundering/countering the financing of terrorism leader in the financial services industry. He currently serves as the U.S. Head of Engagement for HSBC’s Financial Crime Threat Mitigation team based in New York City. In this role, he builds and strengthens innovative public-private partnerships that jointly assess and share information on financial crime threats, such as proliferation finance, bribery & corruption and human trafficking. His efforts help protect our communities from the harms associated with financial crime. Prior to joining HSBC in 2015, Schumann spent nearly seven years with the U.S. Treasury Department where he supported the development of targeted financial measures, such as sanctions, against national security threats across the globe. Schumann, currently a Major in the U.S. Army Reserve, has served his country as a soldier since March 2003. He deployed to Kuwait from 2005 to 2006 in support of Operation Enduring Freedom and to Iraq in mid-2007 as part of a joint Special Operations task force. He earned his BA in History and his MBA from the University of Florida. Schumann also earned a Graduate Certificate in Latin American & Caribbean Studies from Florida International University and is a native Spanish speaker. He has been married since 2009 and is the proud father of two boys. Richard “Ricky” Caplin is globally recognized as a leading entrepreneur who has launched and led multiple organizations that have created thousands of jobs, including The HCI Group – one of the largest global healthcare IT consulting firms – where he currently serves as the Chief Executive Officer. Following a March 2017 merger between The HCI Group and Tech Mahindra, Caplin became one of the top global executives at Tech Mahindra, a global technology company with 117,000+ employees. Under his leadership, the combined companies are thriving through their continued support of the adoption of digital technologies in the healthcare space. Caplin is the recipient of the 2015 Ernst and Young Florida Entrepreneur of the Year Award, Jacksonville Business Journal’s Ultimate CEO Award and has received recognition throughout the nation for his civic service. 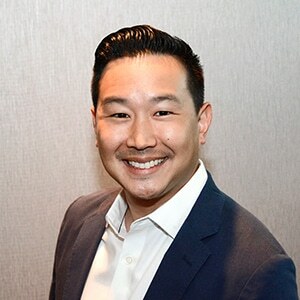 He was named a 2016 ‘Rising Stars of the Profession—Excellence in Healthcare’ and a 2017 ‘Global Leader in Consulting’ by Consulting Magazine, a Jacksonville Business Journal 40 Under 40 up-and-coming leader and was selected to participate in the KPMG Quantum Shift program, an elite group of America’s most promising entrepreneurs. For the third year in a row, Caplin was honored in the 2016 University of Florida Gator100 awards, which celebrates the 100 fastest-growing, Gator-owned businesses in the world. Caplin, a former Certified Public Accountant, graduated with bachelor’s and master’s degrees in accounting from the University of Florida. Caplin completed executive education at Harvard Business School and the University of Michigan’s Ross School of Business. He lives in Jacksonville, Florida with his wife and three children. 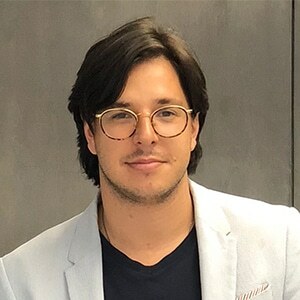 Silvio F. Pupo is the president of the Government Blockchain Association in Miami and the CEO of Logos Capital, a global investment bank, advisory, venture and private equity firm focused on impact investing. 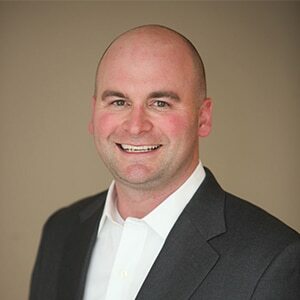 He has 10+ years of Finance and Economic Development experience with key strengths in operations, strategy, finance, investor relations and tech transfer. Pupo is a Sister City ambassador for the City of Miami and its future as a Resilient Smart City. Proactive in civic engagement and diversity as the youngest board member in the City of Miami. Sitting on the Mayors International Council as Liaison to Haiti, he co-chaired the Energy Task Force for the Haiti Resiliency System (HRS). Having lived, studied and worked throughout Asia, Europe, U.S. and Latin America, Pupo has harvested cultural viewpoints for understanding, communication and coordination across the increasingly globalized world. He received a global education in International Finance and Philosophy with degrees from the University of Florida, Milan Bocconi University and Hong Kong University of Science and Technology (HKUST). Pupo also co-founded Yin Yang Academy [(501(c)(3)], awarding scholarships to at-risk youth teaching them discipline and mindfulness through meditation and martial arts. Moreover, he’s an advisor of Team Paradise [(501(c)(3)], a sailing academy focused on local youth, veterans, and the disabled, as well as Third Wave Volunteers [(501(c)(3)], which provides disaster response around the world. He is also currently an advisor to several FinTech, InsurTech, Crypto and Blockchain related enterprises and board member of Logos Capital portfolio companies.